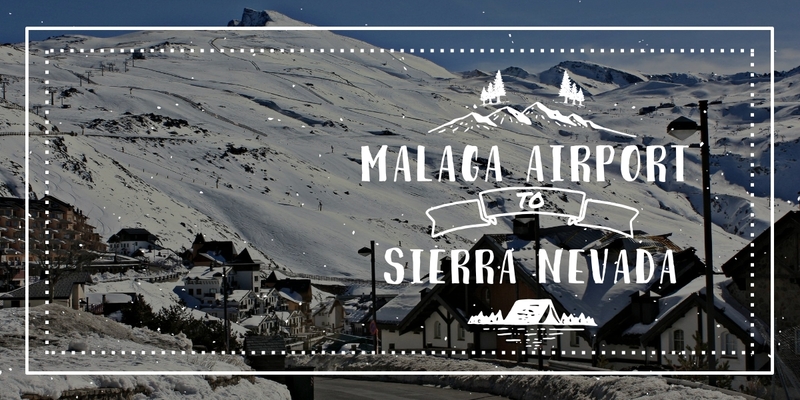 How to get from Malaga airport to Sierra Nevada? Many of the travelers who fly to the capital of the Costa del Sol want to move from Malaga airport to Sierra Nevada. It is not of surprising, because this ski resort is one of the most prestigious in the world, so it concentrates in season large numbers of tourists. It is important to bear in mind that both destinations are separated by approximately 200 kilometres, so we recommend that you plan in advance which means of transport you are going to use. An alternative is to take a taxi to Sierra Nevada and allow a professional to transport you. In this sense, a good decision is to contact a taxi driver or a trusted company and negotiate a previous fare to make the journey. This way, you will have the car as soon as you arrive and you will know exactly how much you are going to pay for the service. One of the most recommendable options is based precisely on this idea. It consists of making the transfer to Sierra Nevada, from Malaga airport, renting a vehicle with a private driver. To the quality and reliability of the service, the personalized treatment and the comfort of having this means of transport as soon as arriving, joins the tranquility of traveling with a company of all confidence. One that you can use is TransAuto Andalucia Torrox, which has 15 years of experience in the sector, an excellent fleet of cars and top professionals. For most, skiing in the Sierra Nevada is synonymous with disconnection, relaxation and rest. Assure these sensations yourself from the first moment. Contract your transfer from Malaga airport to Sierra Nevada with a specialized company and treat yourself to a luxurious trip, in accordance with the excellence of the ski slopes on which you are going to enjoy. Do not hesitate to contact us, if you need more information for this or other transfers in private car with driver.